Does red wine last longer than white wine after being opened? Or maybe you’re not thinking that way. More likely it is something like ‘I feel like this type of wine, so that is what I am going to have!’ This is definitely the best philosophy for choosing which wine to open. However, you may want to also consider keeping the bottle for a few days, in which case you will want to maximise its ‘life’ after being opened. One excellent way of preserving an open bottle of wine is through the use of a gas preservation spray. However, in this article, I’ll discuss the difference between white and red wine, in terms of longevity after being opened. What happens to wine when you open a bottle? As soon as you open a bottle of wine it is exposed to the air, which means it is exposed to oxygen. Oxygen reacts with a whole lot of different things, including wine. The reaction of wine with oxygen can release some aromas and flavours from the wine in the short-term, which is a good thing! This is what is meant by ‘letting a wine breathe’ either in the glass or a decanter or aerator, for anywhere from a few minutes to a few hours. 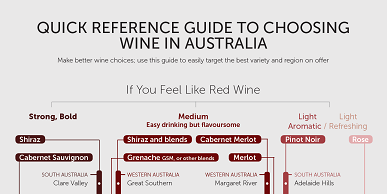 For most wines, especially higher quality wines, it will improve the wine’s aroma and flavour. However, too much exposure to air beyond a few hours can lead to oxidation. An oxidised wine may not be as aromatic (that is, it may not be as easy to smell all the lovely components of a wine’s aroma) and it may even begin to smell a little like vinegar. The wine’s flavour may be ‘flat’ or less interesting, with a more ‘sour’ note, and often with less complexity. The aftertaste can be compromised too. All in all, an oxidised wine is not great and it will only continue to deteriorate with time. The main difference between red and white wine is that red contains some of the components of grape skins while white wine generally does not. This means that red wine has a big advantage in protecting itself from the ravaging effects of oxygen in the air. Tannin (which causes the ‘grip’ and ‘drying’ sensations in the mouth) comes from grape skins (some tannin can come from grape seeds, stalks and even oak barrels, but mostly from skins). Because red wine is fermented with grape skins and juice together, tannins are found in red wines and help protect it against oxidation. Essentially, tannins bind to oxygen and don’t let go, which means the oxygen can’t react with other components in the red wine (like precious flavour and aroma compounds). White wine and less tannic red (like Pinot Noir) doesn’t have this advantage, so it is more delicate and prone to oxidising in the days after opening. To compensate, winemakers generally add more sulphite to white wine. The term ‘sulphite’ can be used interchangeably with ‘sulphur dioxide’, ‘SO2’ and ‘preservative 220’. Sulphite is relatively harmless and is added to the vast majority of red and white wines, as well as things like dried apricots. Sulphite protects against oxidation, amongst other things, so most white wines will still last well in the fridge for up to 4 days (or even more if using a gas preserving system). So, next time you’re opening a bottle for dinner, go with what you feel like, and what matches the occasion. And if you go with a red, relax in the knowledge that you can keep it fresh for a few more days, thanks to the natural preserving power of tannin in red wine.